Home / bollotin / bouchard / boxed chocolates / chocolates / Christmas / delicious / food / gift / gift idea / Present / Review / yummy / Bouchard Chocolate Pralines - My new favorite chocolates! Bouchard Chocolate Pralines - My new favorite chocolates! 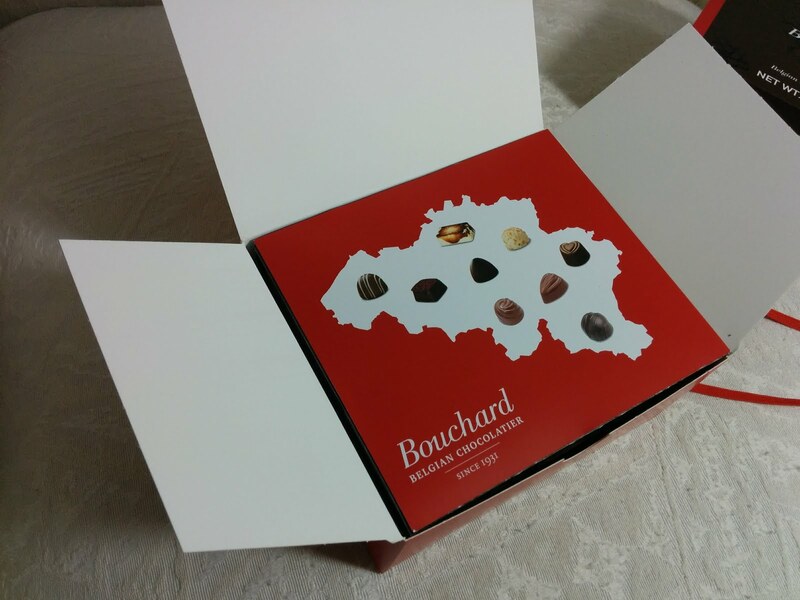 I recently received some Bouchard chocolates to try out. I was expecting something similar to what I have had in the past with other boxed chocolates like Whitman's, See's or even Dove. 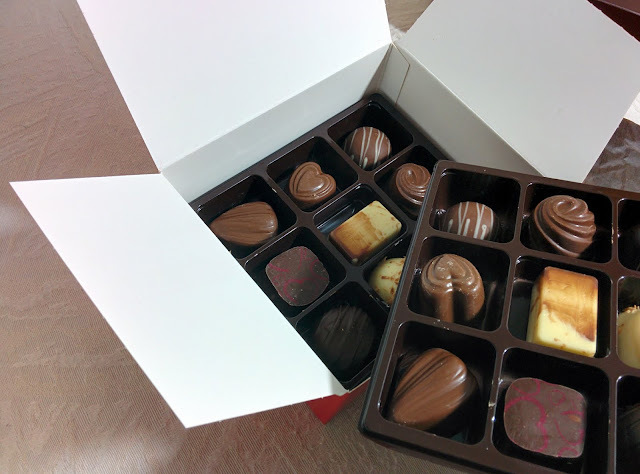 I was happy to find that I like Bouchard chocolates more in every way! (Note if you are uncultured like me and don't [or didn't] know what a bollotin is, Google helped explain it to me "a decorative cardboard box, slightly larger at the top and with broad flaps, in which chocolates are sold." Fancy. 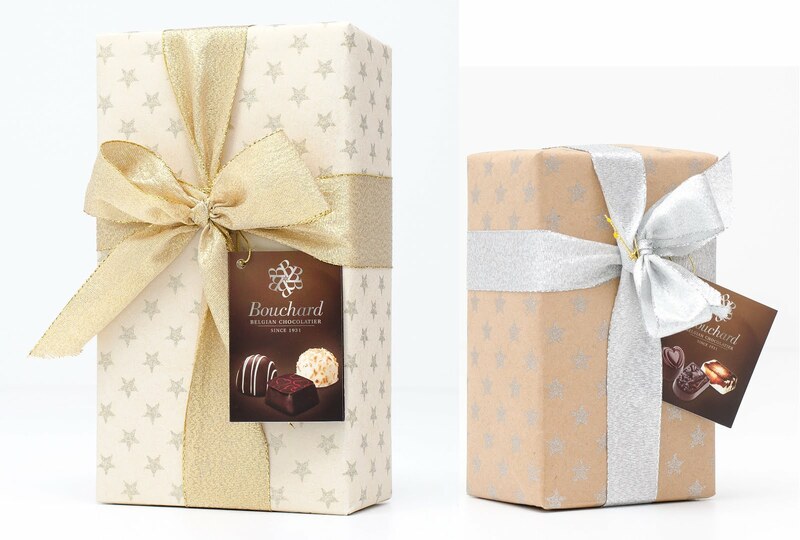 You can find more info about Bouchard chocolates at their website bouchardchocolate.com or by going to their Instagram page. 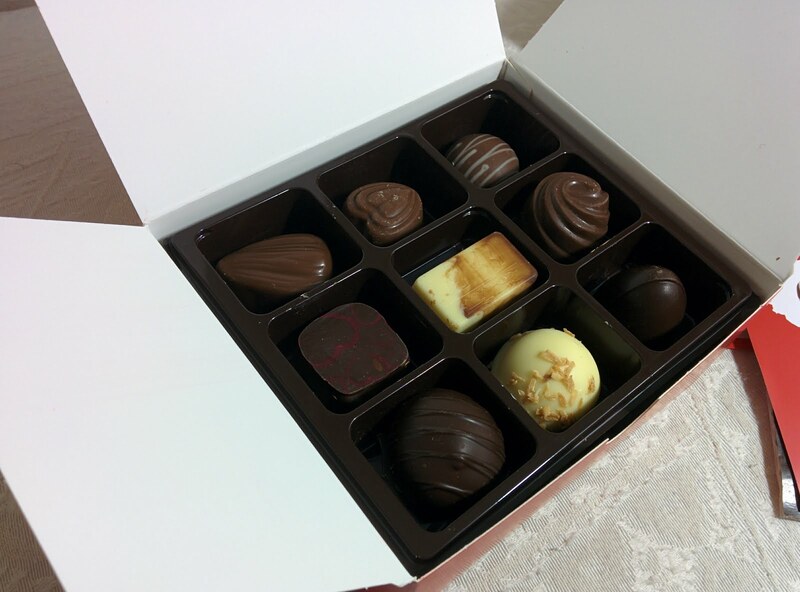 The thing that impressed me the most about these chocolates is that every single one is amazing. My grandma had a tradition where every Christmas she would get a huge box of Sees chocolates. There were always a few that everyone raced to get, and then there were some leftover chocolates that no one really wanted. You know what I am talking about. The ones with the nuts or nothing in them at all. In the Bouchard sample that I got, everything was filled with some sort of goodness. The original plan with the chocolates was that I would give them to my wife, and of course she would share them with me. Flawed plan. Once she realized how good they are, she just let me take a tiny bite in order for me to just know what it tasted like. Lame. That is the last time I am going to share amazing chocolates with my wife! (Probably not. Wife, if you are reading this... I am going to share everything with you always [except for chores, I will not share those with you; they are all mine. MINE!!!] I love you). Ok. Sorry. Tangent. Chocolates. Bouchard chocolates really are the best chocolates I have had. The only sad part for me was that both trays were the same (I think that is pretty normal) and that my wife is a chocolate antisharer. The chocolates come with a handy dandy booklet so that you know you are not eating any cherry filled chocolates (Yay! Sorry if you are the kind of person who actually likes those things...). The almond gingerbread is my favorite as it is like eating instant Christmas. So. Good.